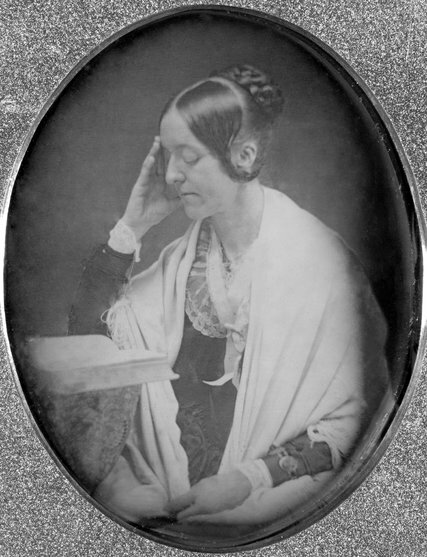 Margaret Fuller died on July 19, 1850, in a shipwreck off Fire Island. In her intellectual prime and at the height of her influence as a social reformer, she was returning home from Europe with her Italian husband and their child. A major advocate for the rights of women, Fuller had left the United States in 1846, just a year after the publication of her influential book, “Woman in the Nineteenth Century,” which both Susan B. Anthony and Elizabeth Cady Stanton cited as an inspiration. Having accomplished her mission, as Megan Marshall puts it in this new biography, “to meet the writers and radicals whose work she’d admired from afar and test their minds in conversation,” Fuller was coming home to the United States, having flagrantly acted out the freedoms she demanded as every woman’s right. A sure-footed biographer, Marshall admits to devoting disproportionate attention to a subject that was catalytic to Fuller’s emotional as well as intellectual development, the “circle of young ‘lovers’ who were drawn to the flame of her intelligence” and were invariably left blistered, eager for gentler company. No one likes a conceited genius, and Marshall seems to know that she can’t hold her readers for long without countering the arrogance Fuller’s accomplishments inspired. How better to summon sympathy than to highlight the romantic disappointments that attended the bluestocking’s homeliness and lack of social grace? Fuller may have been sharing the opinion of others when she observed that “there was no intellect comparable to her own” — not in the United States, anyway — but even friends who railed against the highhanded superiority of “Queen Margaret” relented in the face of her often abject loneliness. Fuller was 25 and looking forward to the freedoms of unfettered adulthood when her father died, proving as great an influence in absentia as he’d been when drilling her on the classics. Transferred, along with her immediate family, to the custody of Timothy Fuller’s younger brother, Abraham, she balked at being herded from one man’s control to another’s. Instead, she took it upon herself to support her mother and younger siblings. She taught school, wrote and then sold what she wrote, working to the point of exhaustion and sometimes collapse. “The Great Lawsuit” was a “critique of ‘personal relations’ among men and women” inspired by Fuller’s forays into a world far from the comfortable drawing rooms of well-heeled Yankees. Her “investigations” into the lives of the local poor, including a visit to the deathbed of a young woman who had botched her own abortion, had inspired a “dark epiphany” about the “nightmarish destiny” of most married women, who lived lives of grueling, thankless servitude. With Greeley’s blessing, his new literary editor — more partner than employee — undertook the task of exposing the criminal abuses rife in asylums and prisons, supported suffrage for blacks as well as women and wrote biting editorials in hopes of transforming New York into a model society. When she sailed for Europe, the journey was partly funded by Greeley’s advance for her future dispatches from the Old World. Alas, the manuscript in her travel desk drowned with her, only 300 yards from land. Fuller could navigate the turbulence of public opinion, but she didn’t know how to swim. “The waves” would not have been as “difficult to brave as the prejudices she would have encountered” had she arrived home safely, one mourner noted of Fuller’s necessarily controversial and divisive return. In what Marshall identifies as “the most radical act of her life so far,” this towering genius hadn’t chosen an “intellectual consort” but an apparent sybarite dismissed by her friends as “half an idiot,” a person who had most likely never read a book all the way through. She’d left America alone, a spinster, and was bringing home a penniless partner who gave her pleasure, saw to her comfort and knew better than to interrupt her at her desk: in other words, a wife who happened to be a man. The rest of the world might take its time arriving at equal rights, but Margaret Fuller had evened things up for herself. I am about to go pick up my copy of MARGARET FULLER: A New American Life, from my local bookstore in Brooklyn, but before I do so, I thought I’d write a little something about why I am so thrilled about this particular Politics for the People selection. I have been a great admirer of Margaret Fuller for some time, for many reasons. Firstly, I met her while directing my senior project in college. It was a fantastical play called Alice in Bed written by Susan Sontag. The piece brought together Alice James (sister of Henry James), Emily Dickinson, Kundry from Parsifal, Myrtha from the ballet Giselle and, of course, Margaret at a Mad Tea Party where Margaret provided the voice of boldness and bravery to an ill and frightened Alice. My creative team was the third ever to work on the piece which made me feel honored and very connected to each of the characters. That was the beginning of a relationship with Margaret that’s lasted almost two decades. I know I haven’t started the book yet, but I love to recognize the beauty of a beginning, and to be at the very beginning of another adventure with Margaret excites and moves me deeply. She was (and still is) a force in so many ways, on so many fronts, and it is a joy to know I will be spending the next few weeks with her. Jennifer’s working script of Susan Sontag’s Alice in Bed. Her Director’s notes included. Our Politics for the People Book Club conversation with Megan Marshall will be on Sunday, September 20th at 7 pm EST. So grab a copy of MARGARET FULLER: A New American Life, grab a sunny August summer spot and enjoy! 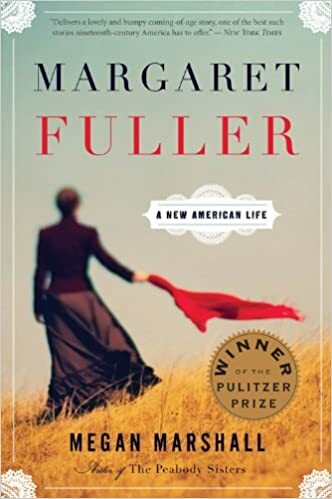 I am thrilled to announce our new selection, Margaret Fuller: A New American Life by Megan Marshall. The book received the 2014 Pulitzer Prize for biography and is a richly researched book about Margaret Fuller, the 19th centory author, journalist and pioneer of women’s rights who died tragically at age 40. Here is a Megan Marshall talking briefly about the book and winning the Pulitzer Prize. Our Politics for the People conference call with Megan Marshall will be on Sunday, September 20th at 7 pm EST. With August days ahead, be sure to pick up or download your copy of Margaret Fuller: A New American Life. Let me know your thoughts.